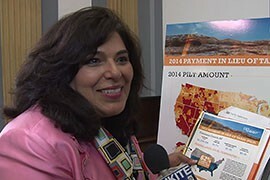 WASHINGTON – Arizona counties got $34.5 million in reimbursements this year for the large tracts of untaxable federal lands inside their borders, money the counties say they rely on for basic services. Now they need to be able to rely on the federal government to pay its bills consistently. That was the message local officials brought to Washington Thursday when they urged Congress to permanently fund the payment in lieu of taxes program – PILT – that is currently funded on a year-to-year basis. Coconino County Supervisor Liz Archuleta said that without the $1.7 million in PILT funds her county got this year, it would be forced to cut public safety and other services. The payment is particularly important in Western states like Arizona, with their vast amounts of federal land. 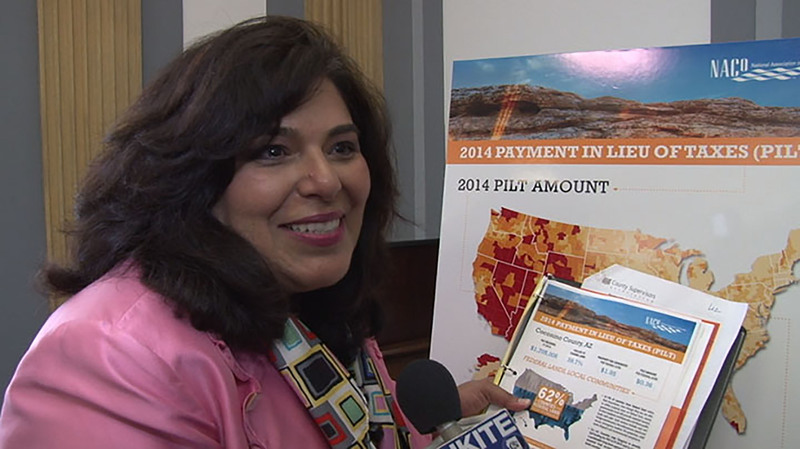 Rep. Ann Kirkpatrick, D-Flagstaff, whose eastern Arizona district is 95 percent public land, said PILT is vital to her constituents. 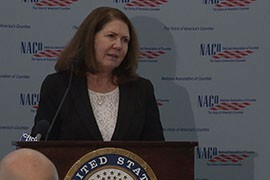 Kirkpatrick, who has introduced legislation to make PILT funding permanent, was one of a bipartisan group of Western lawmakers who said Thursday they are working on short-term and long-term strategies to ensure sustainable funding for the program. Counties that rely on the program narrowly escaped the loss of PILT funds last year, when the program was not funded in the fiscal 2014 budget. Congress eventually stepped in and included $436.9 million for the program in the Farm Bill. If Congress fails to permanently fund PILT, Archuleta said her county and others like it will be forced to cut public safety and other essential services. She said only 13 percent of the land in Coconino County is private, taxable property. The federal and state governments own the remaining 87 percent and do not pay taxes on it. The federal payments help fund search-and-rescue, fire management and other essential services that counties provide. Nearly half of Arizona’s counties have more than 50 percent federal land, according to Archuleta. Gila County is 96 percent public land, she said, leaving the tax burden to just 4 percent of its tax base. Losing PILT would force these counties to lay off workers and cut critical services. “We’re talking about real cuts to programs, real cuts to services,” she said. 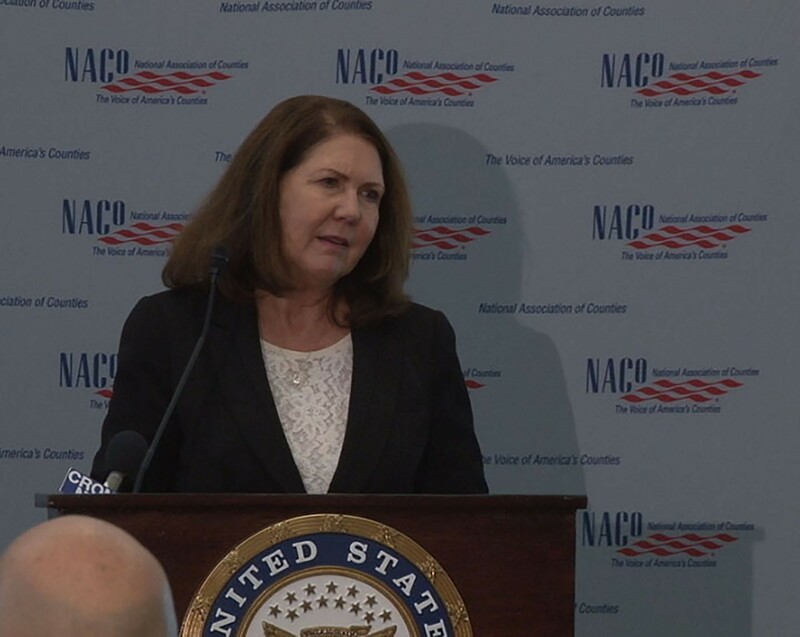 But Kirkpatrick said it is a “constant struggle” to educate urban members of Congress about the challenges rural counties face. Still, she said she is optimistic that when Congress returns after the elections, lawmakers will pass a budget before the end of the year that permanently funds PILT. Archuleta and her fellow county supervisors see that as part of Congress’ duty. In Western states like Arizona, where large amounts of land are government-owned and untaxable, the federal payment in lieu of taxes can be critical to county budgets. 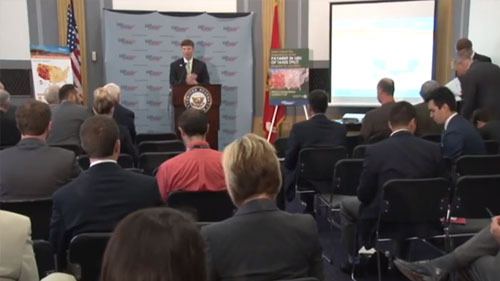 Cronkite News reporter Brittany Bade is in Washington were local officials urged Congress to safeguard those funds. Coconino County Supervisor Liz Archuleta said her county relied on the $1.7 million in PILT funding it got this year from the federal government to fund fire management and other essential services. Rep. Ann Kirkpatrick, D-Flagstaff, said PILT funding is vital to counties in her district, where huge amounts of public land are not subject to property taxes.